8、 "So we beat on, boats against the current, borne back ceaselessly into the past. 我们奋力前行，小舟逆水而上，不断地被浪潮推回到过去。 ——菲茨杰拉德 《了不起的盖茨比》"
28、 "The loneliest moment in someone’s life is when they are watching their whole world fall apart, and all they can do is stare blankly. ——F. Scott Fitzgerald 《The Great Gatsby》"
49、 "It occurred to me that there was no difference between men, in intelligence or race, so profound as the difference between the sick and the well. ——F. 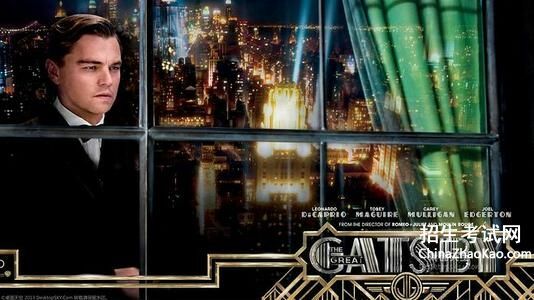 Scott Fitzgerald 《The Great Gatsby》"
50、 "This is the time of wonder, the time of art, the time of big spenders. But also a mockey of the time. 《了不起的盖茨比》"
65、 "希望正在离我们远去 但这并不重要 明天我们将奔跑的更快 将我们的双臂伸得更远 终有一天 我们继续奋力航行 逆水行舟 被不断的推回 直到回到 往昔岁月 So we beat on, boats against the current, borne back ceaselessly into the past. 《了不起的盖茨比》"
90、 "我整夜没睡;雾笛声一个劲儿在桑德海湾上凄恻地鸣响，我辗转反侧，像生了病一样，理不清哪些是狰狞的现实，哪些是可怕的梦魇。 I couldn't sleep all night; a fog-horn was groaning incessantly on the Sound, and I tossed half-sick between grotesque reality and savage, frightening dreams. 《了不起的盖茨比》"